The most traditional motorcycle event in the destination seeks to surpass last year’s attendance record; the heart of the Riviera Nayarit is ready for the most awaited and biggest biker party of the year. The 12th edition of the Motofiesta Guayabitos is set to take place from June 16-18, 2017 in the Riviera Nayarit, and the event organizers are confident it will surpass the more than 12 thousand attendees that showed up last year. Motorcycle clubs from all around the Mexican Republic have already confirmed their attendance at a week from the event. Local hotels in Los Ayala, La Peñita de Jaltemba and Rincon de Guayabitos have indicated occupancy rates to be at 100% during that weekend thanks to the biker party, which also suggests significant revenue for the zone. The success of the festival is due to the excellent camaraderie among the aficionados of the different makes of motorcycles and their families’ enjoyment of the beaches at Mexico’s Pacific Treasure. As happens every year, there will be contests, massive rock and banda music concerts, exhibits and much more. Registration and souvenir sales begin Friday, June 16; the first games begin around noon, including the Slow Race and the Hotdog on the Laundry Line to name a few. The concerts will be held on Friday and Saturday from 6 p.m. to 1 a.m. Contests to find Mister and Miss Biker, the most souped up bike, the biker who traveled farthest and more will be held between the banda music presentations. The grand parade through the streets of the heart of the Riviera Nayarit will run from 5 p.m. to 6 p.m. on Saturday, June 17. The morning of Sunday, June 18, will be a peaceful one, with music and goodbyes for those who wish to return home, along with a Suzuki exhibit at 10 a.m. The activities will take place on the Duvasa lot, an ample space at the entrance of Guayabits near the water tank. 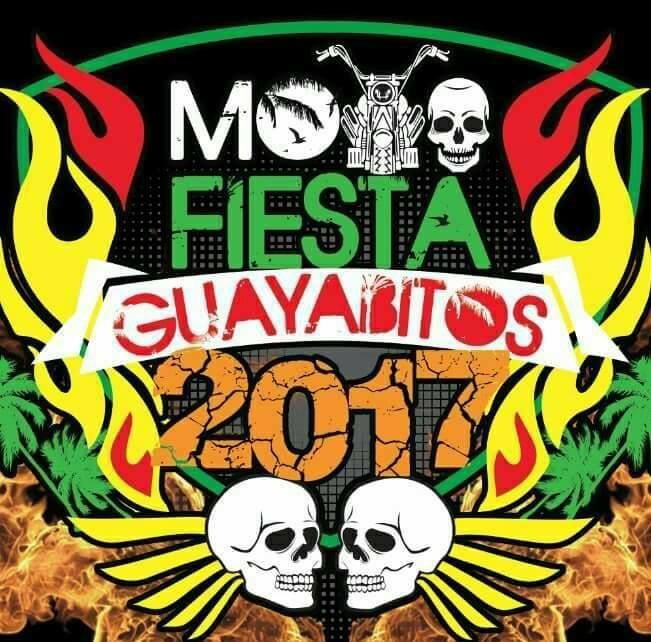 For more details visit: https://www.facebook.com/Motofiesta-Guayabitos-129360177189452/.